This wonderful digital illustration is available from New collection from FITZTOWN CHALLENGE BLOG. it's a wonderful soft image that can have a wide range of scope when it comes to our crafting. This image along with a wonderful selection of other Mystical Imagery is from CRAFTS BY FITZTOWN [ART FIRE.COM]. FITZTOWN ARE HAVING A BLOG HOP where you could win a SUPER PRIZE and a CODE fora FREE DigiKit. So click on this link to visit the site and join in you never know! As they say you have to be in it to WIN IT! For this project i decided to go softer and use muted colours.. okay the hair is a bit on the bright side but i thought it gave a nice balance and interest. This project was all done using my graphics tablet [if you would like to explore digital illustration to a high level then l do make a small suggestion that you can if possible invest in a graphics tablet. They come in all shapes and sizes as well as prices. i have one that cost a few pounds that's used when i'm on the road, the one i use when i'm at home cost just under £200 but l paid for what at that time i could afford. if i ever win the lotto then i already have my eyes on the tablet i would like.. and that one could cost me almost £2000's so as you can see there are tablet that allow you to do this kind of illustrative work and not break the bank. All i can suggest is RESEARCH..... RESEARCH and then some more. Y-Tube is a wonderful place for looking into this kind of tool, there are hundreds of people who are willing to share their knowledge with you. I can highly recommend a visit to Crafts By Fitztown to explore what they can give to you for your crafting projects at a price that's just right for your pocket. They don't just have Mystical and Magical imagery they have a wide range of digital images to fit any project you may want to do. Any questions about what you may have seen or read on my blog please send me a message, it could be something simple or something technical i will do my best to help to answer them. 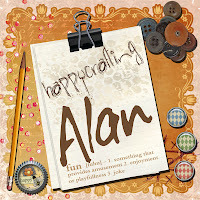 Such a fabulous card Alan!! Love the layout! Your card,-just a little piece of art!Lovely image! Can I thank everyone who has visited my blog and taken time out of their schedule to leave positive words, it means a lot to me to know that my peers enjoy what I'm doing and by leaving messages of support. I'm sorry that I don't respond to every message posted I do read them and I feel a sense of pride that the words posted are both kind and positive. Great work this fairy.I like this vintagemap vork too. Great blog i wollof you. Your project is absolutely fabulous Alan! Love the colors you chose to work with this image. Thanks for being part of our team as a GD! Love your work! Very beautiful. I like the soft color background with the lace. Wow...great project! I love it! Now then where is that craft shop? I have been involved in Crafting in one way or another since my Mum started to teach me how to cook, Sew and Knit. These skills have kept with me since then. Crafting has played a big part in my life both as a Student and a Teacher. Education wise l have a C&G Teacher training and Photography. CENTRA Group Workers Certificate. BH [Hons] Design as well as BA[Hons] Textile/Surface Design. I would like to bring together all the skills l have learnt and observed into my crafting. Then in some small way sharing with my fellow crafters both New and Old. As a crafter l never stop learning. There is someone out there that will place their own twist onto something and then offer that out to the crafting community. I hope in my way lm doing just that. Crafting is all about FUN. There is no right and no wrong way of placing one piece of paper onto another its all about your own expression of what you are doing. Some crafters create theses wonderful creations, that does not mean to say that another crafters work of a simple stamping onto some paper is not just as beautiful and creative. RELAX, ENJOY and more importantly BE CREATIVE no matter what level you are at. I have made several videos so far and uploaded them to Y-Tube. Where l have my own 'Channel'. This is something that's an ongoing process, so far l have approx. in the low 20's. Over the next few months l hope to add videos onto my channel on a weekly basis. I hope that these videos will be informative, creative and inspire you to have a go and make some ART! While l was not using my Blogger page l was using another side which at the time l felt suited my needs more. However l am now back on Blogger so the other site is just a reference site now. So if you would like to catch up on what l have been doing over the past 18 months then please click the link below to go and have a look at my 'On-line Portfolio. 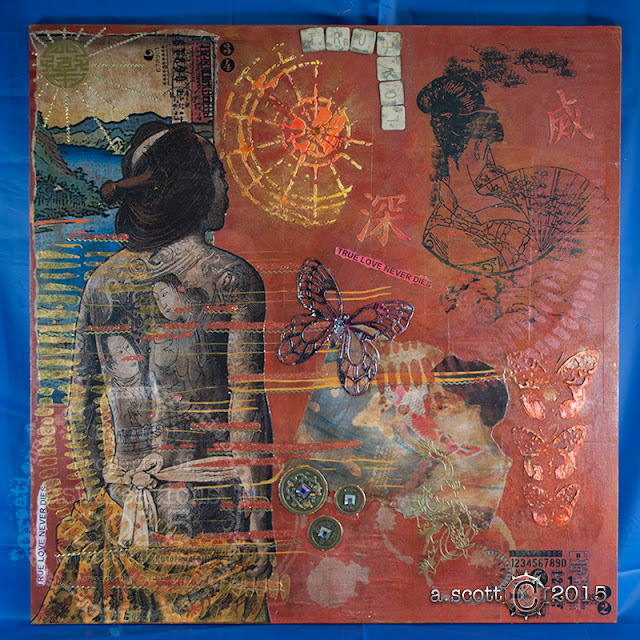 It is split into different sections so lm just going to direct you to the Digital/Mixed Media section, from there your able to browse the complete site at your leisure. This site will not be updated anymore. SAVE MONEY ON A DESIGN PROGRAM!